Last month, we debuted three new premium synthetic felt colors (grey, red and charcoal) in the USA materials catalog. 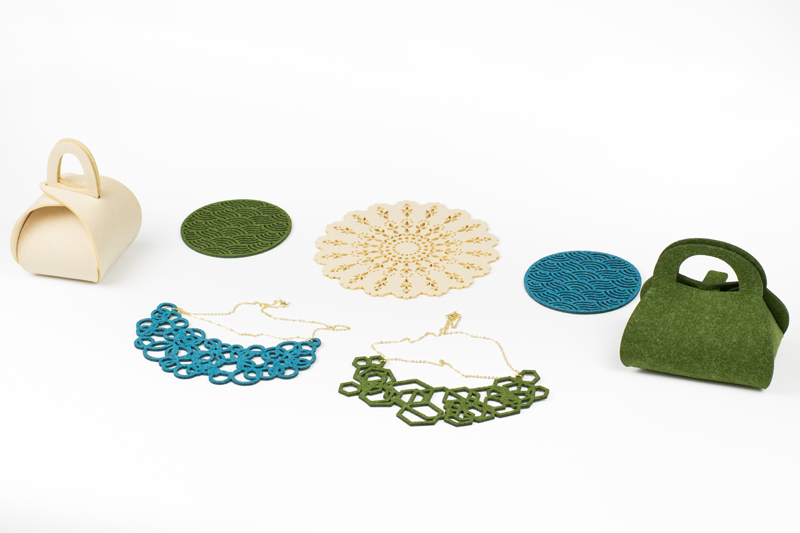 Well, we’re at it again this month with another three on-trend felt colors—army green, bone and ocean blue—that can be made into cozy products that are professionally laser cut to precision and perfect to sell for a profit. What makes premium synthetic felt so striking? First, it has a dense yet soft construction that is durable, stable and non-fraying. This consistent texture laser cuts beautifully and ages gracefully. Second, the colors are vibrant, making premium synthetic felt ideal for bookmarks and book covers, jewelry, clothing labels, hang tags, accessories (such as bags, purses and wallets) and home décor. Third, it’s vegan friendly; there’s no shearing of animals required. 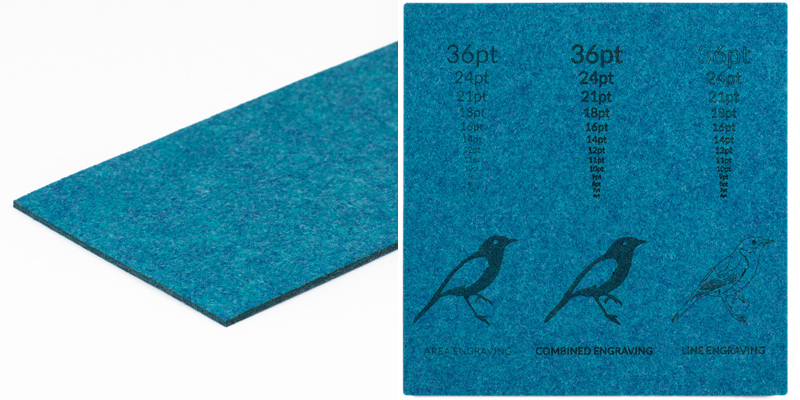 Fourth, it’s a great alternative to our 100% merino wool felt because it laser cuts cleaner than wool felt, which has a darker and more burnt appearance when cut or engraved. Plus, wool felt is a tiny bit stinky when first laser cut since the laser is technically burning the wool. Even though this smell fades over time with exposure to fresh air, it does require some advanced planning if you’re making products to sell or promote your business. Finally (and the best part! ), premium synthetic felt is MUCH less expensive than wool felt. Who doesn’t love saving some cold, hard cash! What’s amazing about premium synthetic felt is that it’s simultaneously cozy for those who want a hygge vibe as well as sophisticated for those with a modern aesthetic. 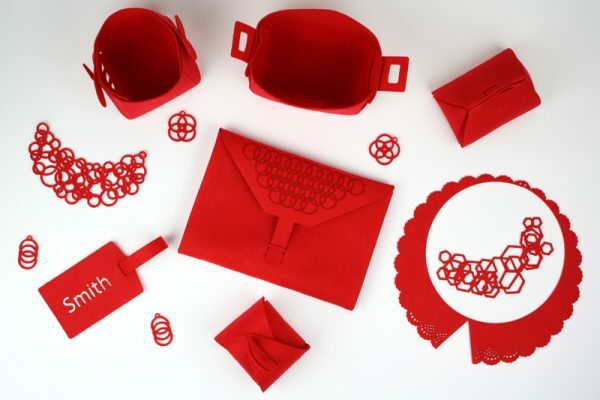 To see just how well premium synthetic felt laser cuts, check out these six designs we tried out. 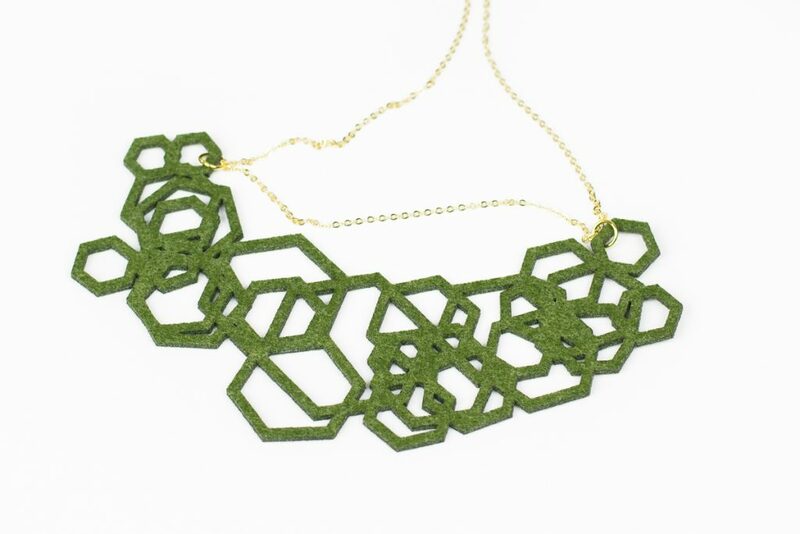 Felt’s texture makes it an attention-grabbing choice for jewelry. Because it’s so versatile, premium synthetic felt can have a boho vibe or a urban feel, especially when geometric shapes are used. 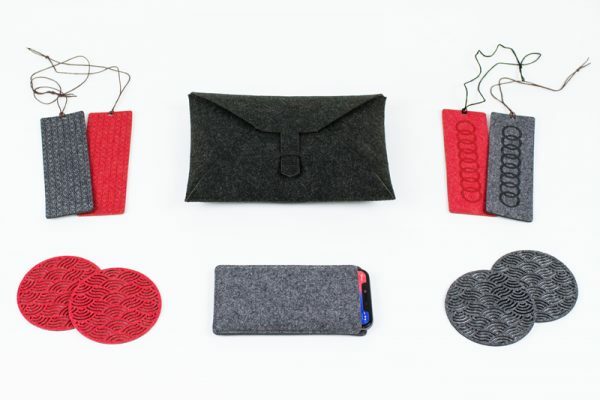 Because of its flexibility, felt is great for making purses or wallets. Just imagine the creative designs (or logos for corporate peeps) you could engrave on the sides of this simple tote. And adding decorative embellishments such as embroidery or beading would make these one-of-a-kind standouts. If you’ve been fighting a battle of what to make next, this Army Green Premium Synthetic Felt will win the war. Find out all about it here and pick up a sample here. 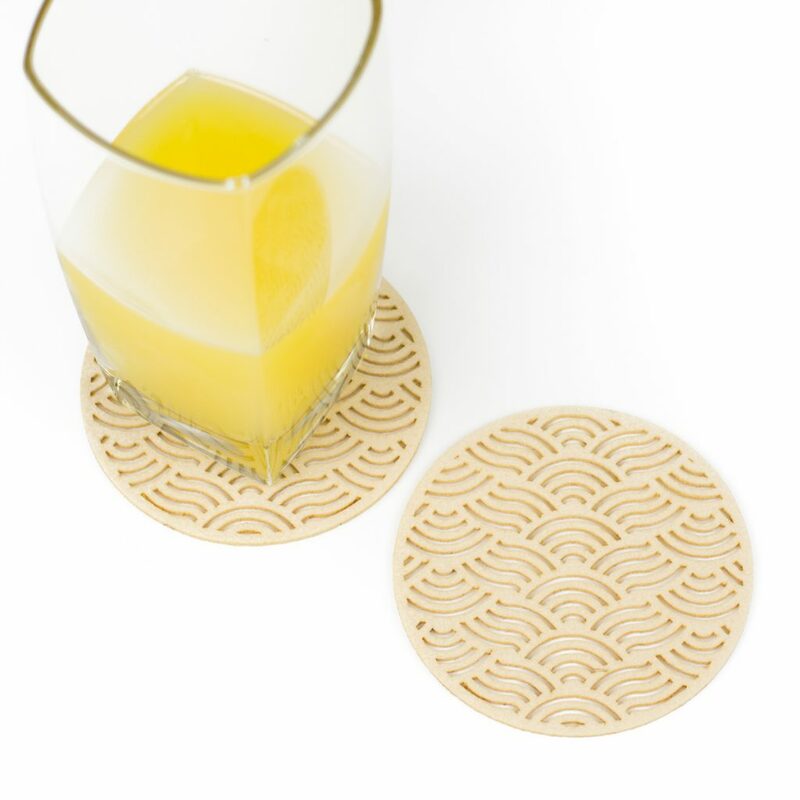 Felt is ideal for coasters because it is absorbent. And the geometric shapes laser cut beautifully while giving different optical illusions based on the orientation. 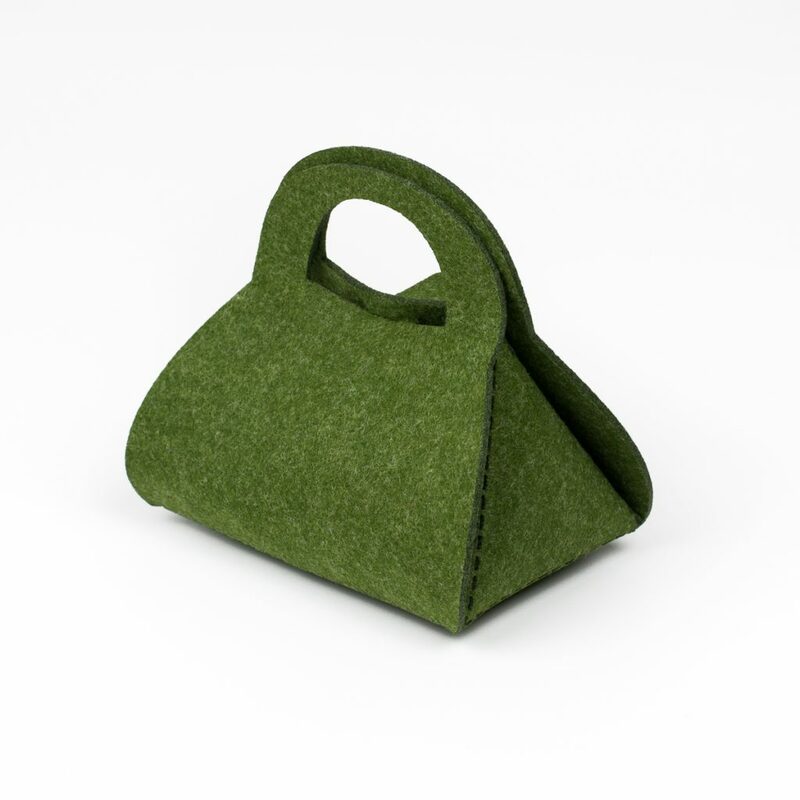 While this design could be used as a purse, it can do double-duty as a gift bag. For those needing corporate branding, add a logo to the side and use these bags for event giveaways or sales call leave-behinds. 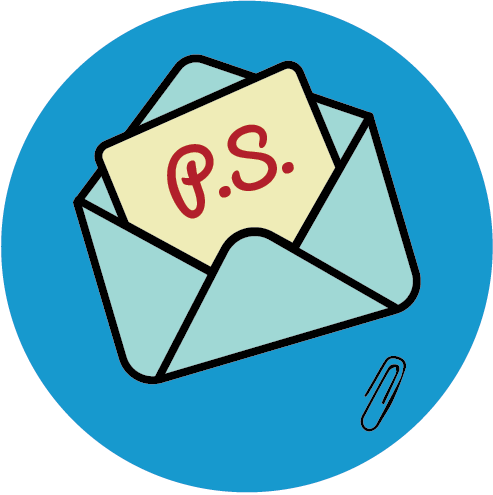 Etsy sellers could also use them as packaging for jewelry—a special value-add for customers. Get all the details about Bone Premium Synthetic Felt here and pick up a sample here to see it for yourself. 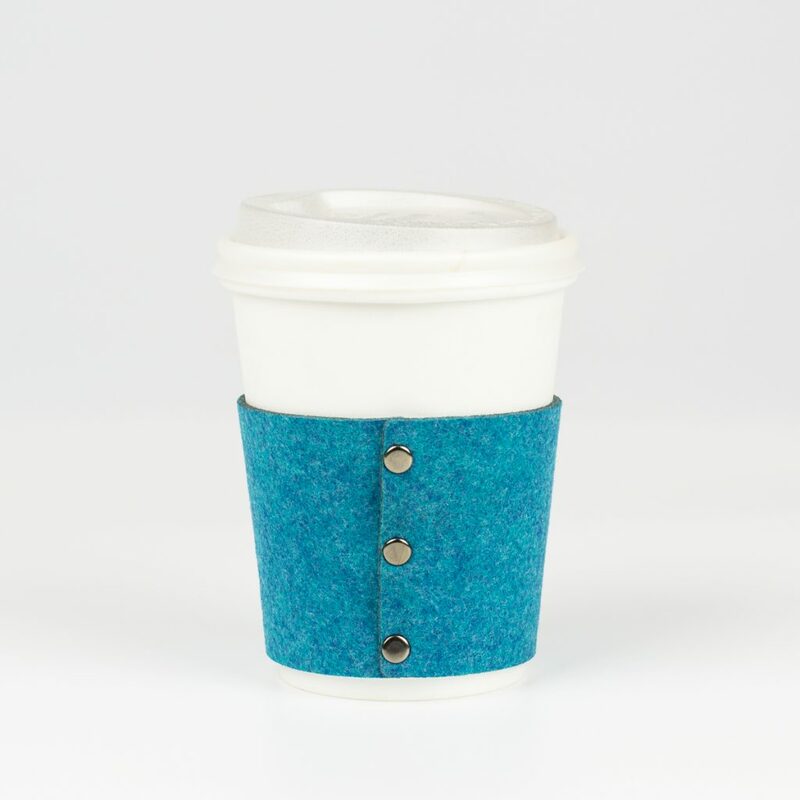 Coffee connoisseurs are always in need of a cozie to insulate hands from hot java. Why not make a reusable sleeve with some flair? The snaps on this design are functional yet add an industrial vibe. Engrave a corporate logo, and you’d have one good-looking promotional product for brands and agencies. 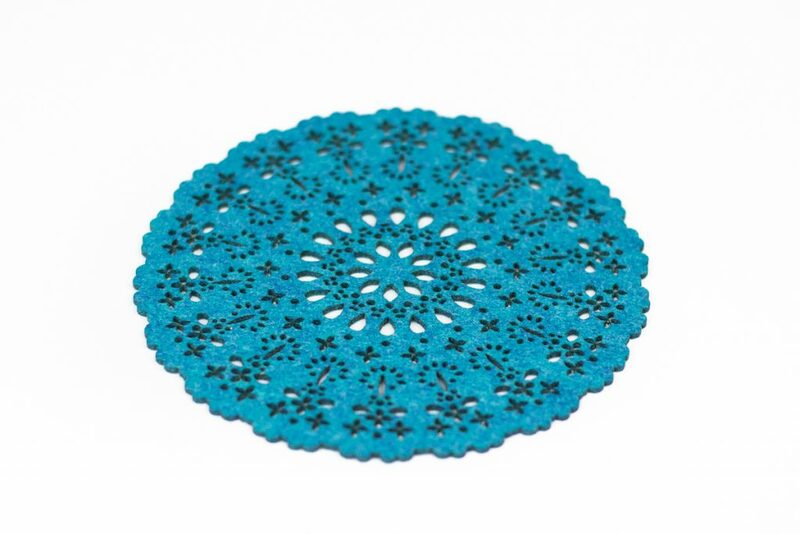 In this coaster example, you can really see how well fine details turn out with this premium synthetic felt. Just look at those edges! Combine it with the coffee sleeve above for an amazing business gift or promotional giveaway. If this dreamy Ocean Blue Premium Synthetic Felt has you visualizing what to make next, get all the info here and pick up a sample here. This 2mm thick synthetic felt is a premium blend of 72% polyester, 18% nylon, 10% rayon and has a dense and rich texture. When laser cutting, heat from the laser melts and seals the edges for a crisp finish. Laser engraving also melts the material, which creates a harder texture in the engraved areas. 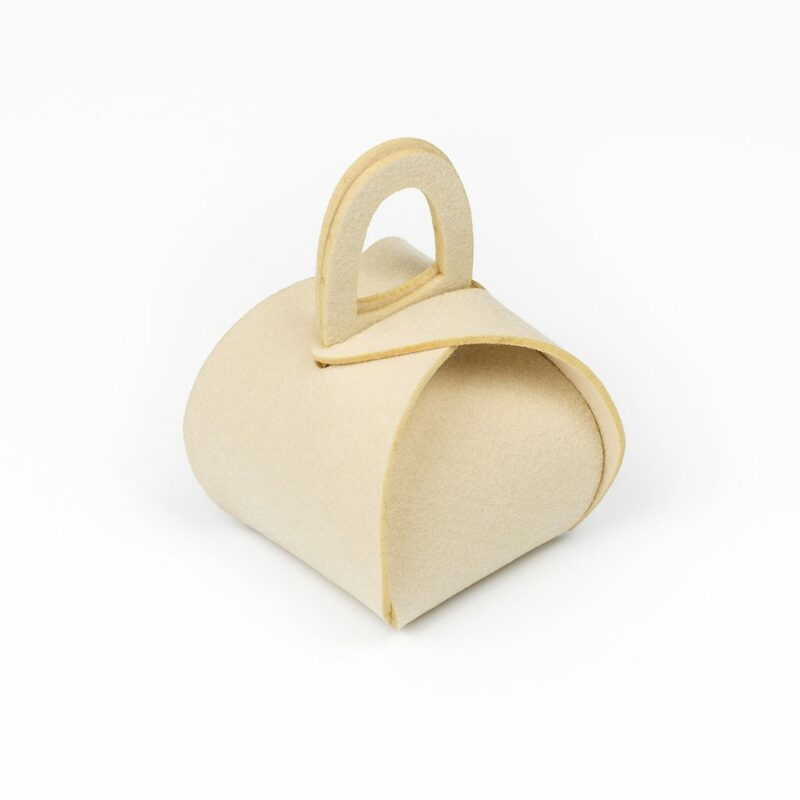 Maker Tips: Unlike most of our other material sheets, felt is a flexible fabric so design accordingly. It’s recommended that design features be 3mm or larger to help parts keep their shape. Because this felt is a synthetic product, it melts reasonably easy when the laser is applied, so you’ll also want to allow for a larger kerf. If you choose to further customize via laser engraving, simple area engraved shapes work best. Detailed area engraving will get lost due to the fluffy nature of the material. What Will You Laser Cut With Premium Synthetic Felt? Are you ready to make with premium synthetic felt? What design ideas do you have in mind? 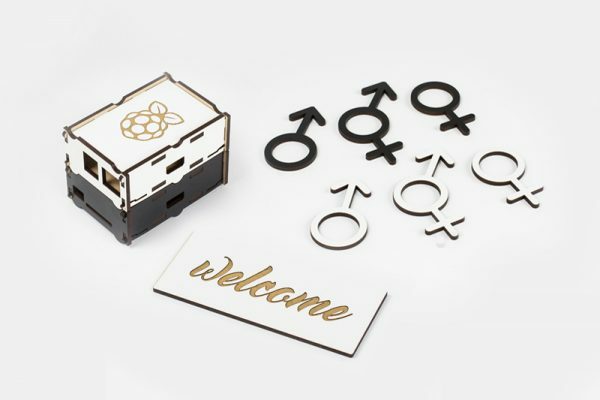 Whatever your laser cutter project ideas, give us a shout in the comment box and let us know what you can’t wait to make. We’d love to hear all about it!